Jean M. Lewandowski, age 73, of Glencoe and formerly of Lester Prairie passed away on Saturday, November 11, 2017 at The Glencoe Regional Health Services Long Term Care. She was born on December 8, 1943 in Hale Township, McLeod County the daughter of Edmund & Marietta (Neville) Rozeske. Jean graduated from Silver Lake High School in 1961. On October 15, 1966, Jean M. Rozeske and Benedict T. Lewandowski were joined in holy marriage at St. Adalbert’s Catholic Church in Silver Lake. God blessed their marriage with a son Mark. Jean started working at Lester’s in Lester Prairie in 1969. She was a payroll specialist there for many years. 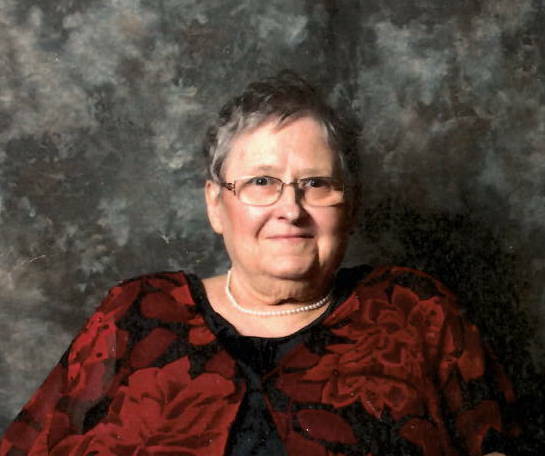 Jean was a faithful member of Holy Family Catholic Church in Silver Lake, The C.C.W. and The Rosary Society. She also belonged to The Silver Lake American Legion Post Auxiliary #141 and to The McLeod County Historical Society. Survived by her loving husband of fifty-one years: Ben Lewandowski; a son: Mark T. Lewandowski of Silver Lake; a brother: Thomas (Linda) Rozeske of Hutchinson; sisters: Marilyn Salmela of Glencoe and Karen Kosek of Silver Lake; brother-in-law & sister-in-law: Larry (Della) Lewandowski of Glencoe; nieces, nephews, other relatives and friends. Preceded in death by her parent and step mother Delphine Rozeske and brother-in-law David Kosek. A Mass of Christian Burial for Jean Lewandowski will be held on Thursday, November 16th, 2017 at 11:00 A.M. at Holy Family Catholic Church in Silver Lake. Celebrant will be Father Paul Schumacher. Alice Nowak will be the organist for the Mass. A visitation will be held on Thursday, November 16th at the church from 9:00 A.M. until time of Mass. Honorary Pall Bearers Ron Lewandowski, Tami Alsleben and Melissa Barsness. The Maresh Funeral Home in Silver Lake is serving the family.